BASILN, Philippines (Mindanao Examiner / Feb. 16, 2011) – Kidnappers in the southern Filipino province of Basilan have freed a six-year old son of a Muslim politician after the boy’s family paid some P300,000 in exchange for his freedom, officials told the Mindanao Examiner on Thursday. Officials said the boy was snatched by two men over the weekend in Isabela City. 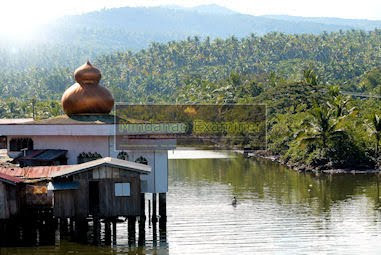 The boy’s father Assemblyman Nasser Arasul, of the Autonomous Region in Muslim Mindanao, did not give any statement to the press, but the military had linked politicians from the town of Tuburan as behind the kidnapping. Lieutenant Colonel Randolph Cabangbang, a regional army spokesman, said the probable motive to the abduction was family feud or rido. Basilan Deputy Governor Al Rashid Sakalahul has confirmed the release of the boy and said the family paid P300,000 to the captors. He said the boy was kidnapped to force the victim’s family to pay their debts to a politician in Tuburan town. “The boy is okay and he’s reunited with his family,” he said without further elaborating. It was not immediately known whether the family or the police would file criminal charges against the kidnappers.